I just picked up my B-King yesterday finally I have my dream bike. Spent the last 5 years on a 650 Vstrom which I loved to bits right from day one stuck 92500kms on her in 4 1/2 Ontario seasons and the bike still ran like new when I sold her Sunday, was extremely sad to see the bike go but now I have a new baby. 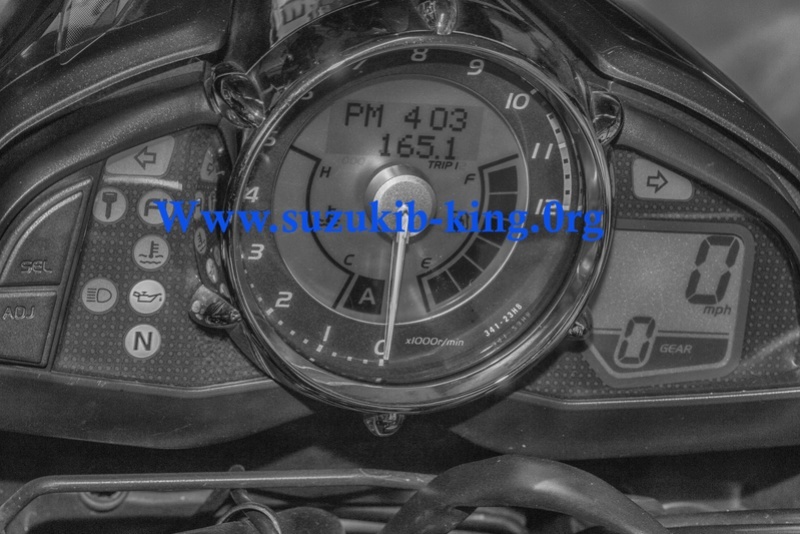 I have often looked at the B-King and sighed if only, I am admittedly taking it fairly easy for the first week or so just until I get the feel, plus the Speed limits in Ontario are the lowest I have ever seen anywhere in western society with the biggest penalties for breaking them too. This also applies to driving standards the tests and training for cars and bikes are ridiculously easy and inadequate. However I am a Brit living here on a PR card so as I am not a citizen then don't want to complain too much. Looking forward to browsing through here and seeing what people have done with their bikes and obviously where are the b-king weak points/ things to watch for. Of course any bike needs personalizing and my will be on exception. My girlfriend also rides and she is looking at the bike saying where is the luggage lol, that is my first job we wont be touring this year but next summer at least 2 weeks will be set aside and maybe a few weekends I personally don't take much like to travel light but will need some options. as for weak points.... let me know if you find many!! I hope you will love the bike as much as we do. I already love it can't see me ever wanting another bike . There is plenty of options available. You can always get yourself a set of soft 'over-the-pillion' sacks as Dave has as the quickest solution that does not require any tinkering. So far no faults from the bike, just the rider lol, it is an awesome machine cannot understand why they did not sell in Canada, maybe Suzuki's marketing was not right when you look at FZ1's and Z1's been selling for years and now Suzuki bring the GSR750 here finally with name change with a promise of the 1000 in 2016 they are missing a big market I think but everyone loves their Harleys and Cruisers here so maybe it is not a big market for them. Welcome from another Canuck and another new B-King owner on the West Coast! !